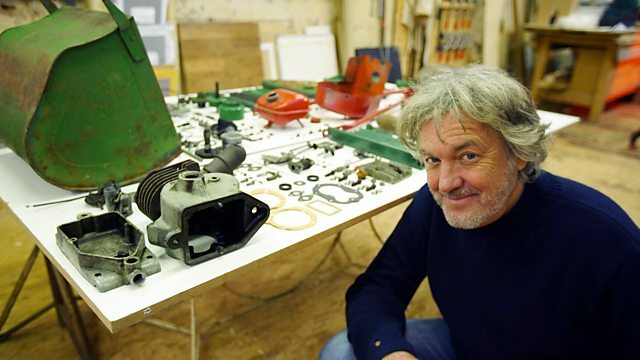 James May of "Top Gear" fame starts his new BBC series "The Reassembler" with a project to rebuild a Suffolk Colt Mower from the 1950s. The programme is on BBC4 at 9pm on Monday 4 April and will be available on the iPlayer afterwards for a couple of weeks. The trailers for the show have been fairly sparse but it looks like James will be rebuilding the mower and finding out more about its history and how it was made along the way. Should be fun and might even give the many, many people who contact the club about these popular old machines a few hints. 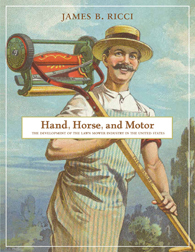 "After years of research and writing, my book 'Hand, Horse and Motor: The Development of the Lawn Mower Industry in the United States', has now been published," says Jim. "My contact with hundreds of fellow enthusiasts around the world, via personal visits, telephone calls, letters and emails, has helped me document this history. I am deeply appreciative of their support and encouragement over the years." Copies of the book are currently available direct from the publisher by mail order. We are hoping to arrange for copies to be available soon in the UK for Old Lawnmower Club members to buy with lower postage costs. You Could Be A TV Star! The producers of the Amazing Spaces Shed of the Year TV programme recently contacted the club to see if anyone would be interested in entering their competition this year. We're willing to bet that many of our members have highly memorable sheds stuffed full of interesting items that would qualify. Anyone interested in taking part can find out more at the programme's website. In the meantime, here's the team from the show together with two "typical" mower sheds. The first shows part of the display at Milton Keynes Museum and the second shows how to make the best use of storage space - but possibly not ideal for displays - at an unknown location. Read more about You Could Be A TV Star! The BBC is broadcasting a brand new series on the Secret History of the Garden. 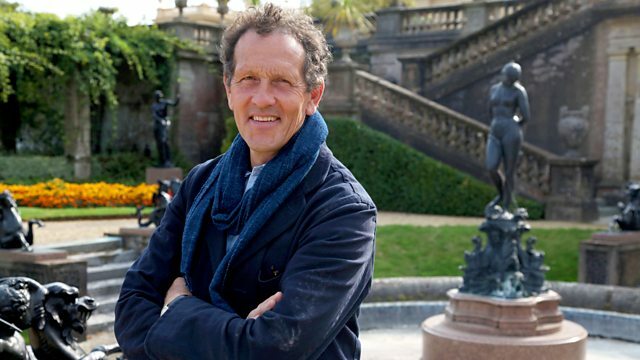 Presented by Monty Don, the series comprises four parts and goes out on BBC2 at 9pm on Sunday evenings with repeats on the same channel on the following Wednesday after Newsnight at 11.15pm. Each episode covers a different century, starting with the 17th. 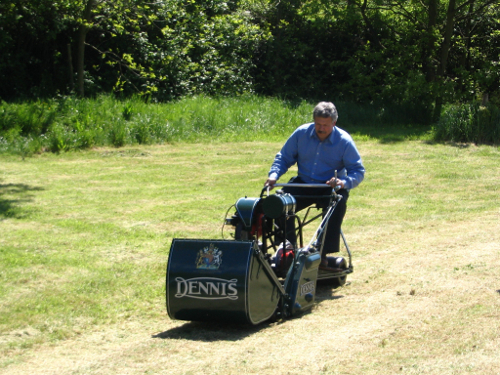 Christopher Proudfoot - long term club member - recorded some pieces about lawn mowers for the series and we expect these will feature in the final episode, covering the 20th century. All being well this episode will be broadcast on Sunday 13 and Wednesday 16 December. Christopher actually recorded the footage late last year but it's not unusual for programmes like this to be completed and then shelved for months until a suitable slot in the schedules is available. The first three episodes are currently on the BBC iPlayer where all episodes will be available for a week or two after the final one is broadcast. Note: this posting is changed to include the correct information about Christopher's appearance and updated information on the scheduling of the programme and its transmission dates. 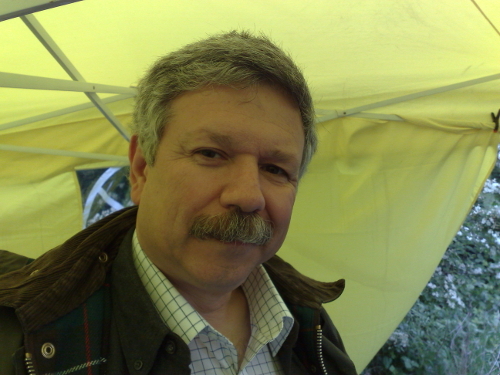 Another club member Brian Radam recorded a sequence for the third episode in the series (covering the 19th century) that was broadcast on Sunday 29 November and Wednesday 2 December.